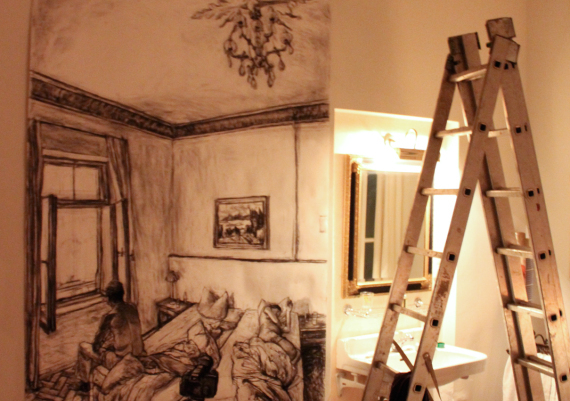 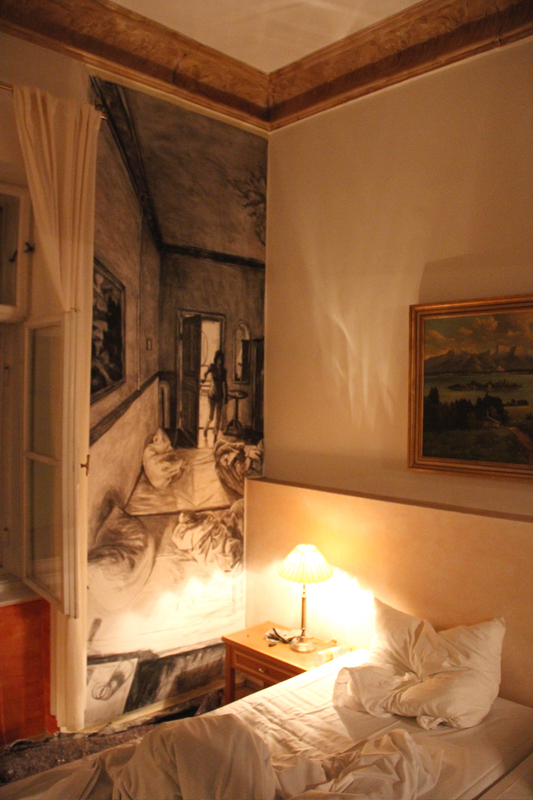 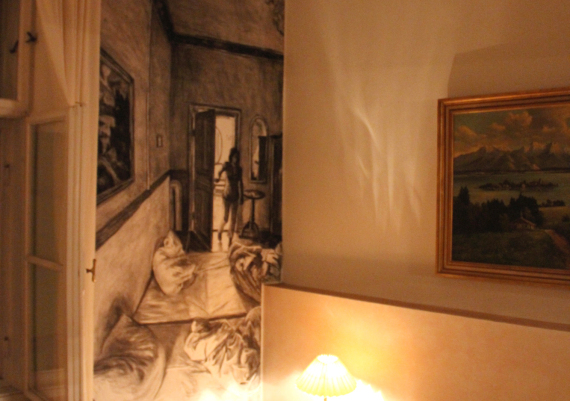 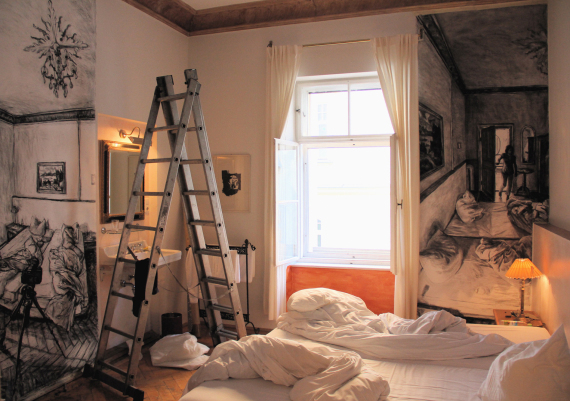 A hotel room as a place for making art. 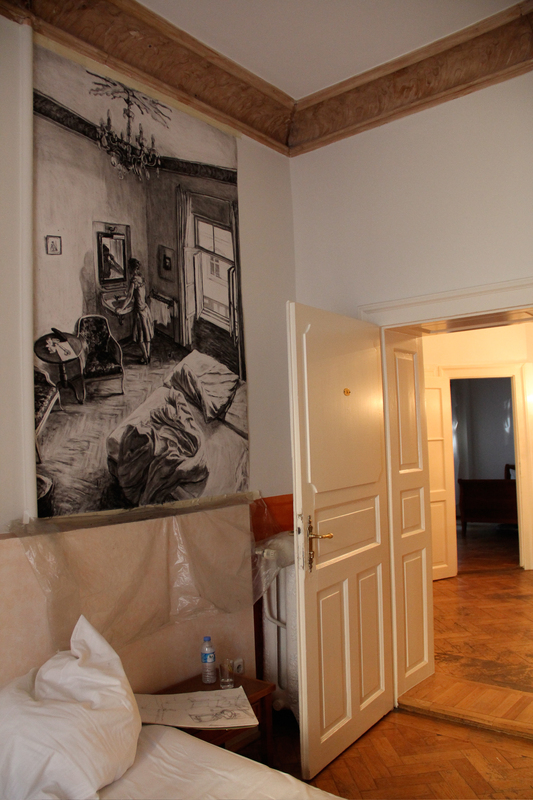 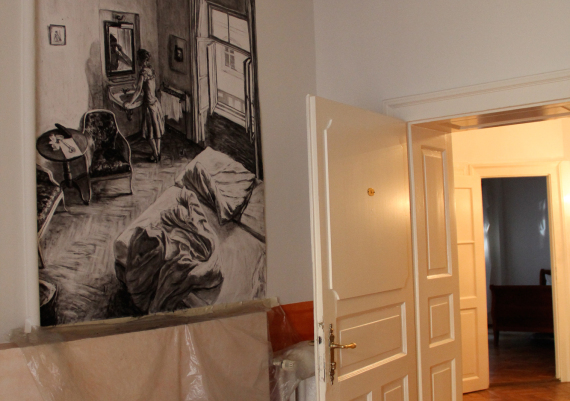 Large drawings hang on the walls, exactly where they were made. 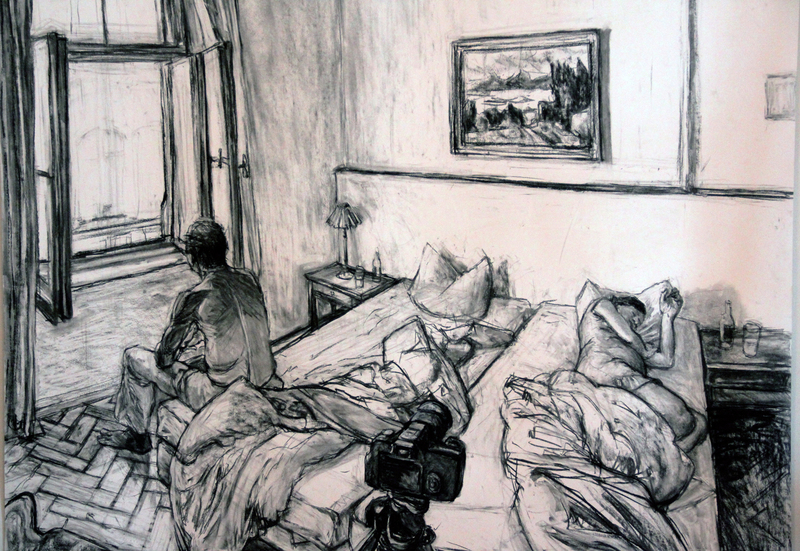 In them is everything the drawer could see. 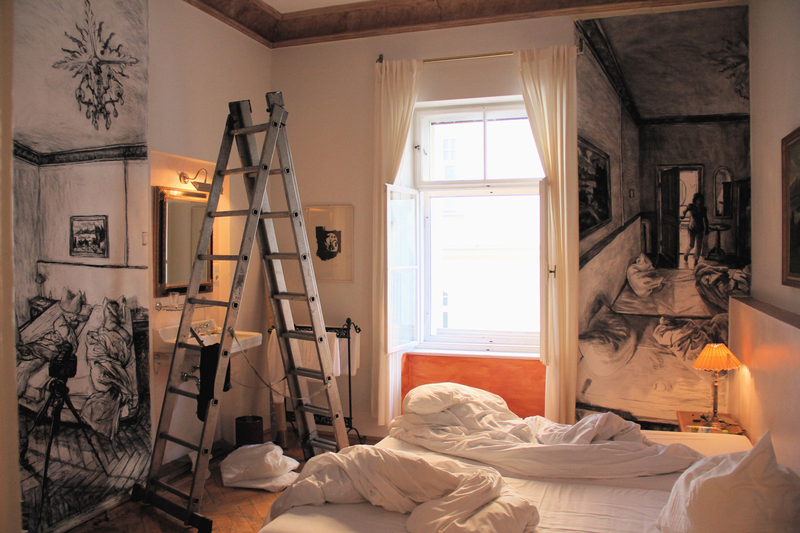 Not only the room and its contents but also the visitors and incidents, marking the passing of time. 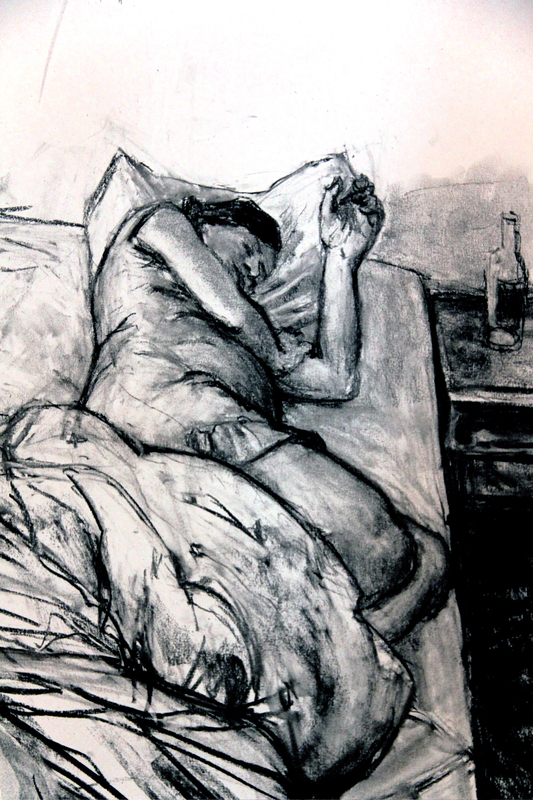 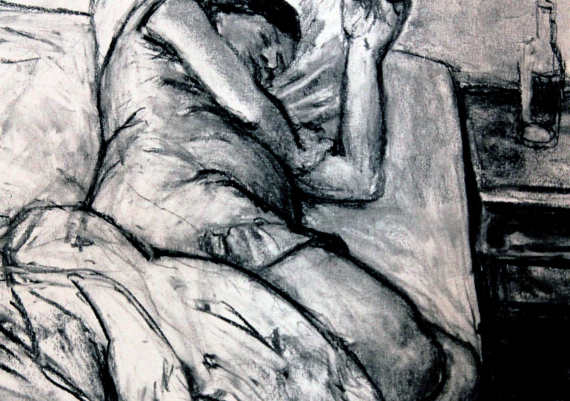 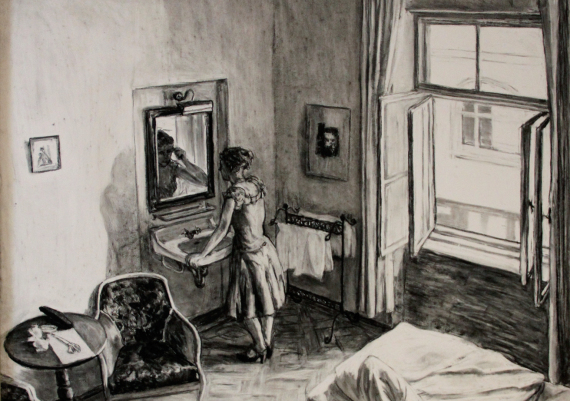 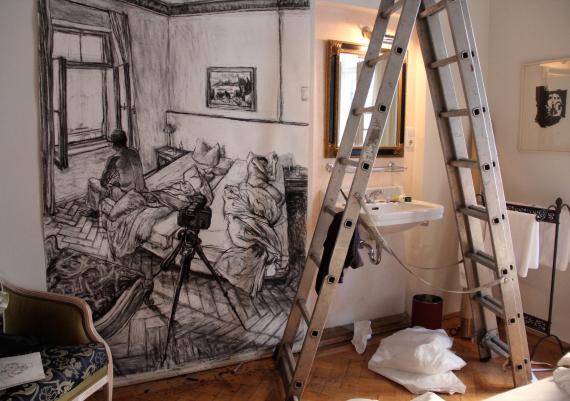 The drawings also reflect the presence of the artist, his perspective and activities. 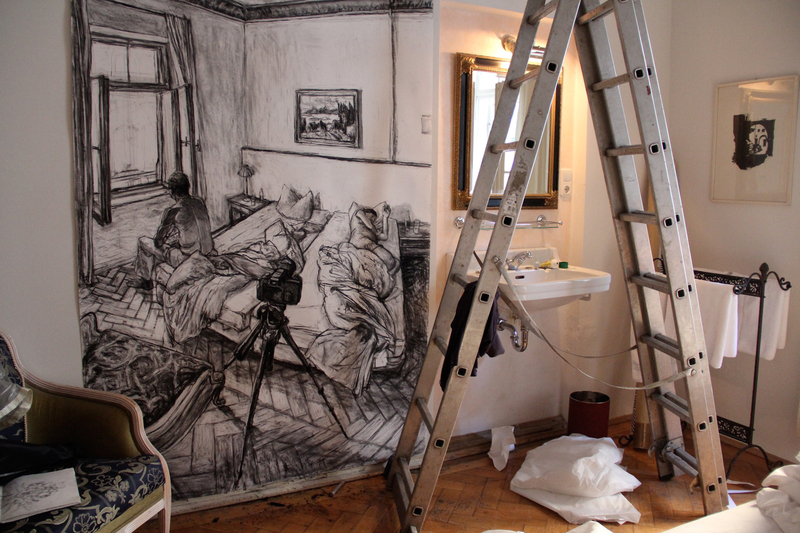 Eleven international artists intervene and transform the hotel rooms for several days. 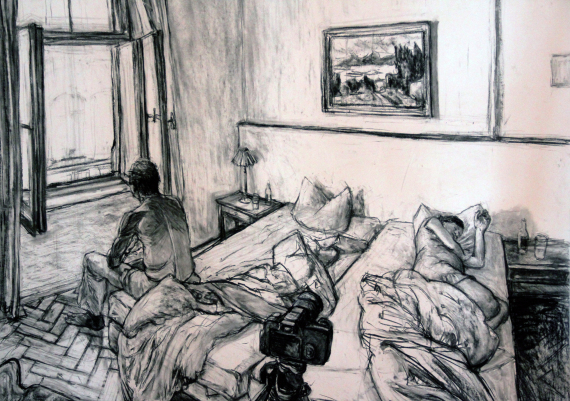 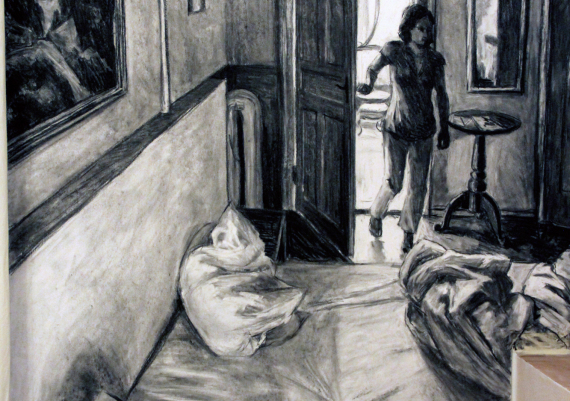 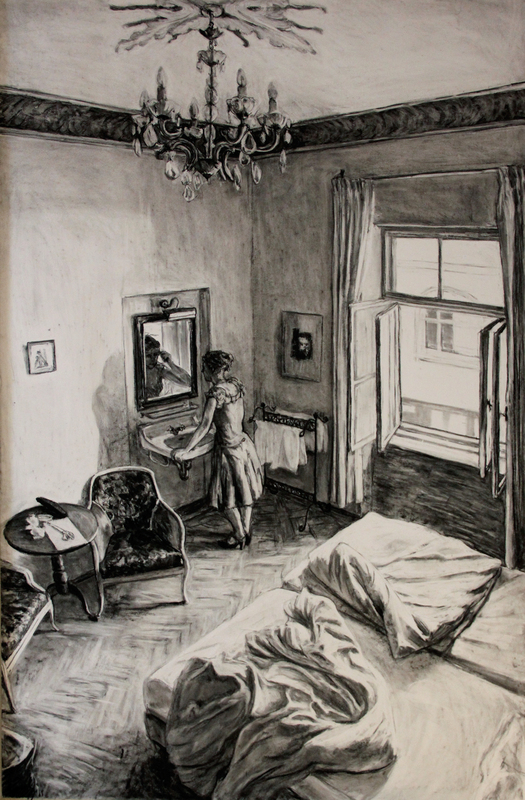 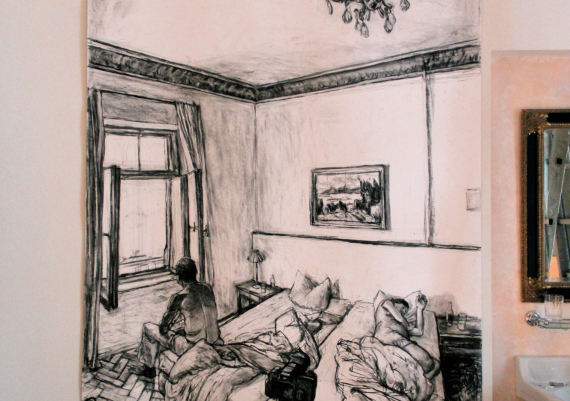 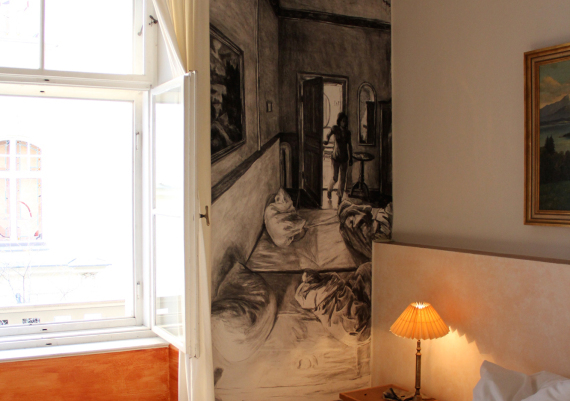 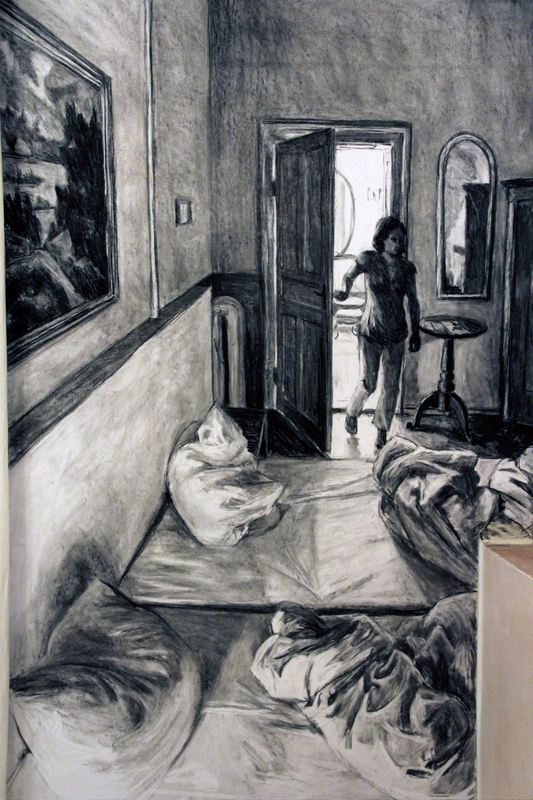 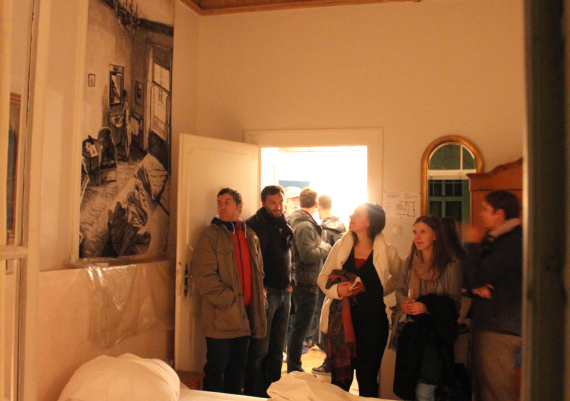 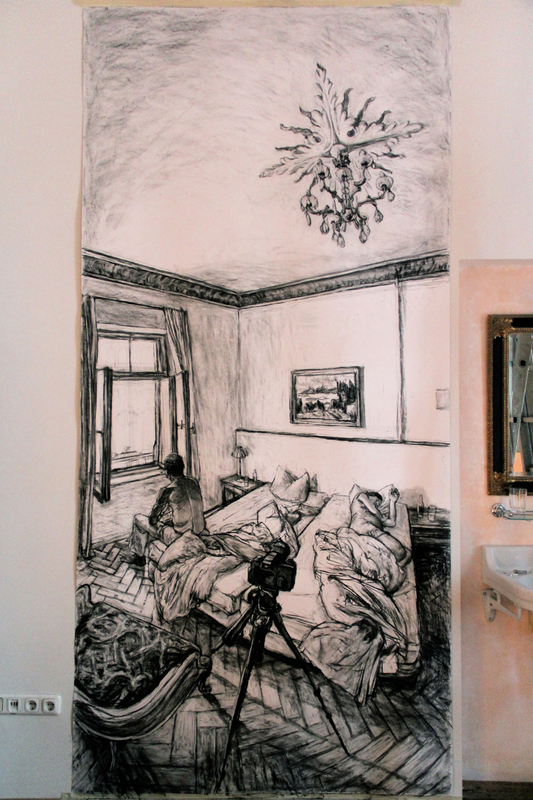 The hotel’s daily routine is interrupted as visitors and artists fill the rooms while other parts of the hotel continue to be used by hotel guests. 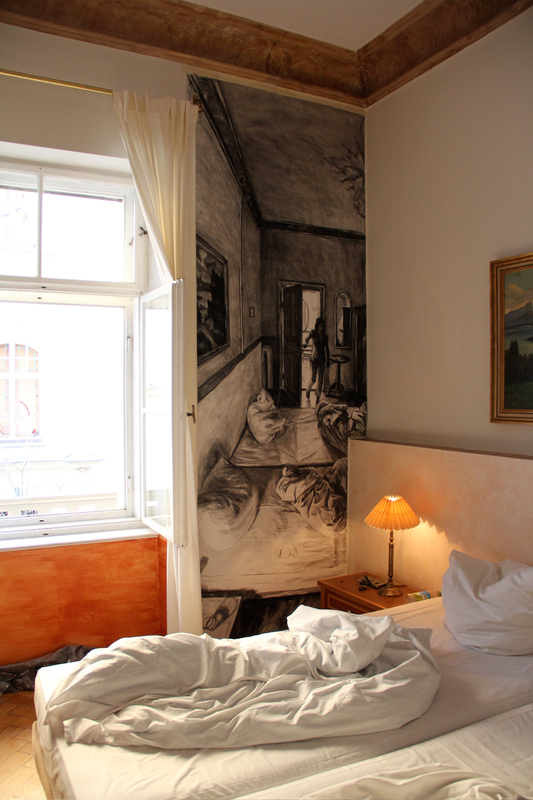 This creates a unique atmosphere for the artists as well as the visitors and hotel guests. 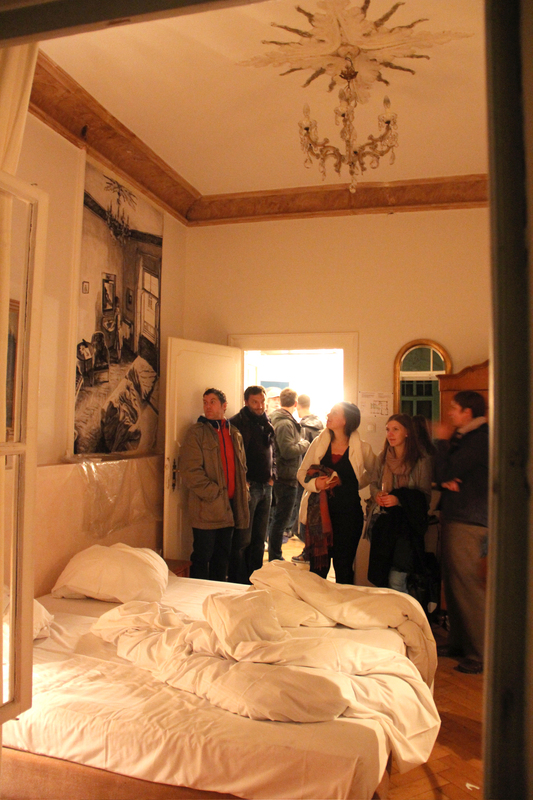 Further information in German in the flyer pdf.